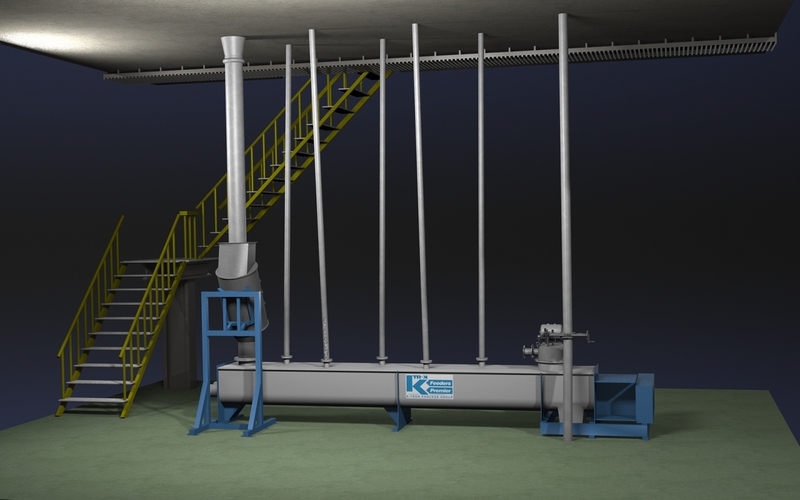 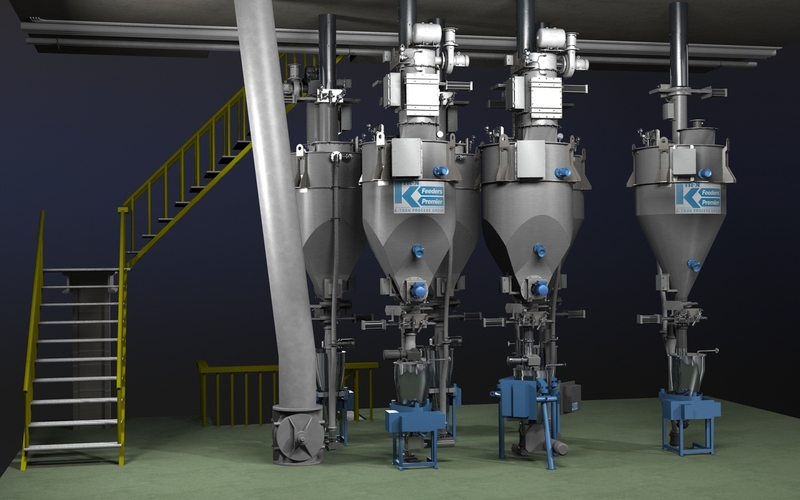 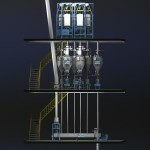 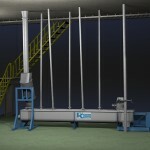 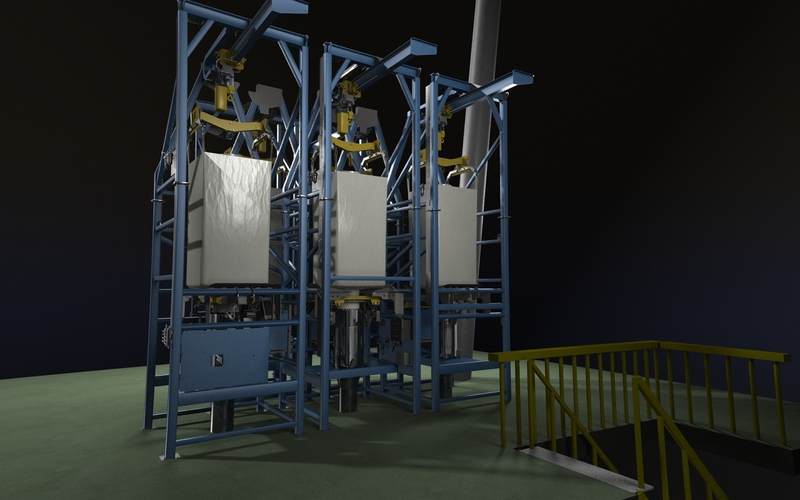 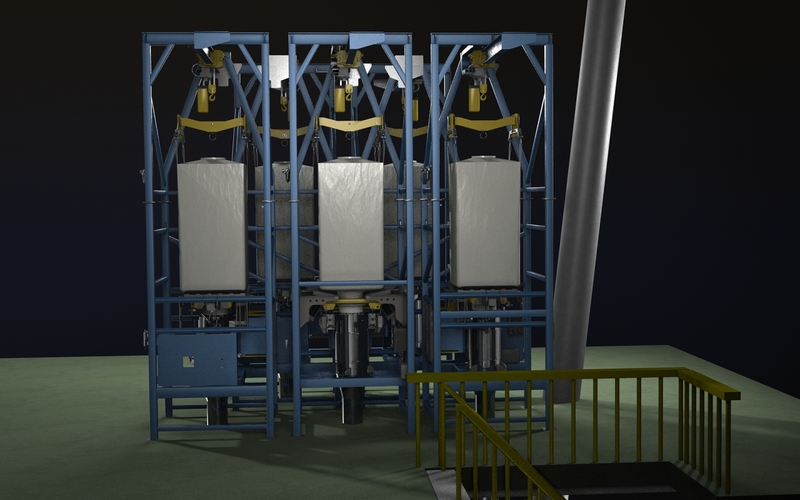 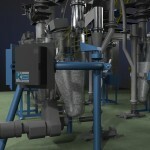 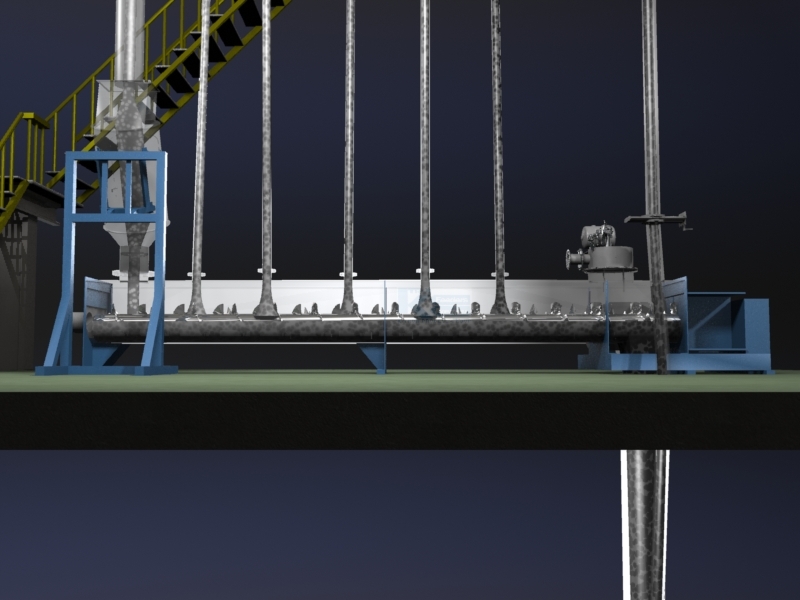 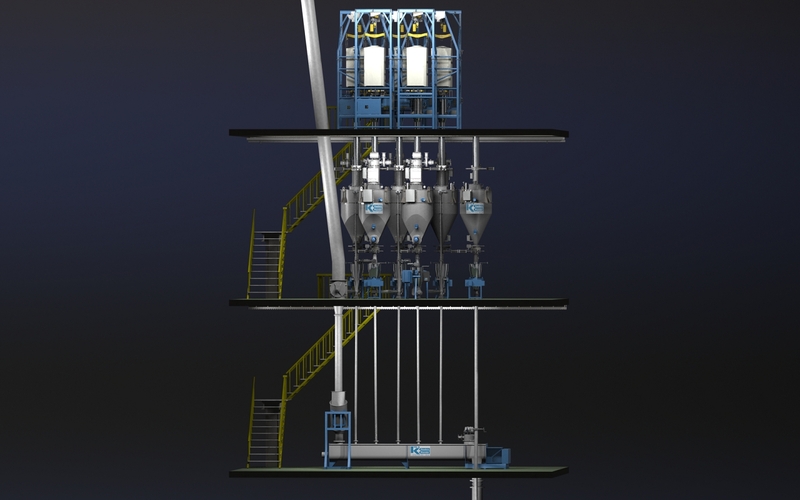 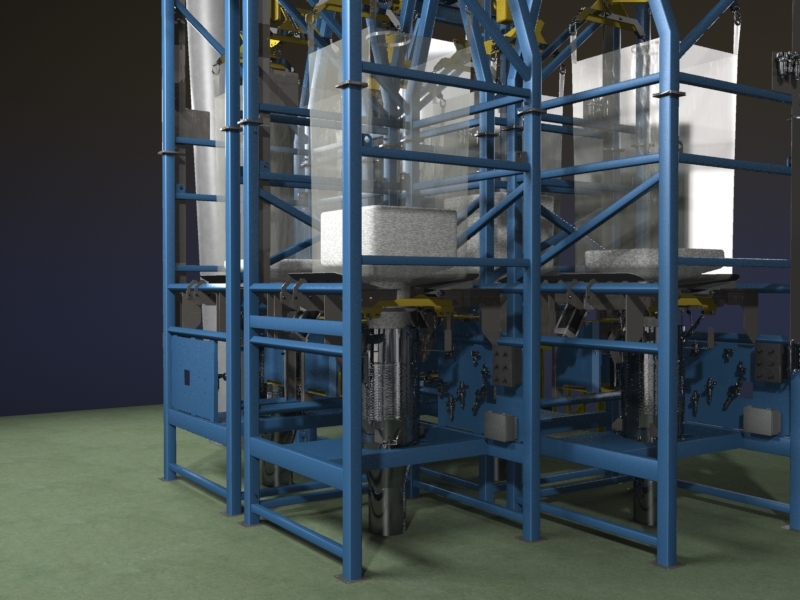 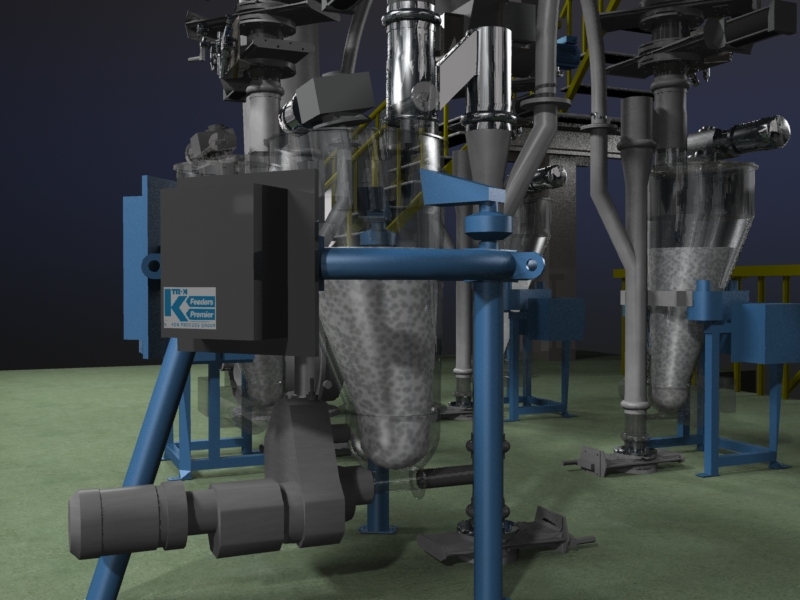 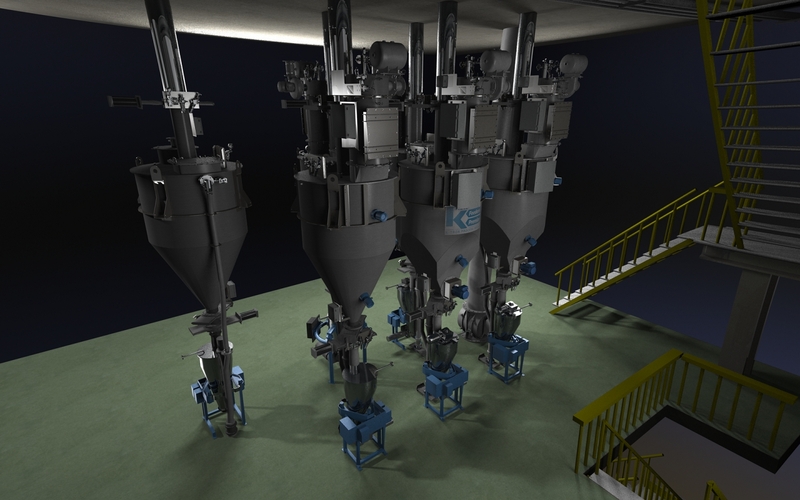 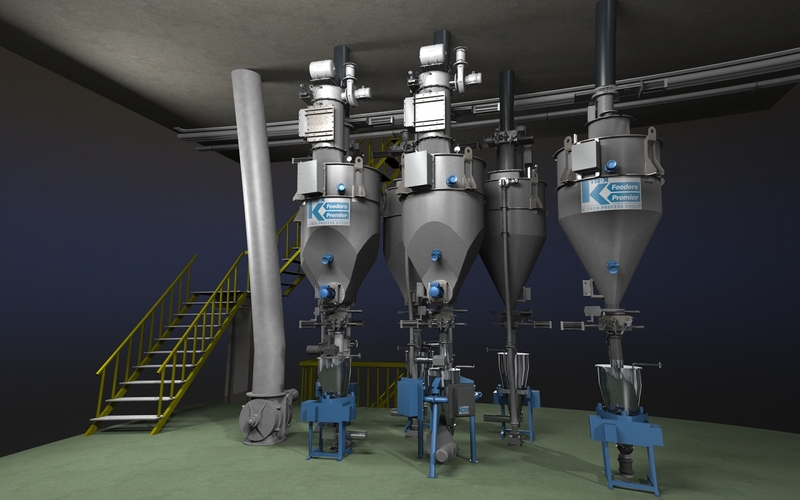 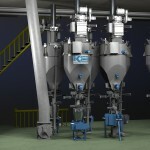 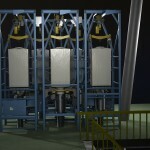 A large scale plastics resin processing system was animated to show a completed installation with 3D animation used to highlight specific components and processes within the equipment. 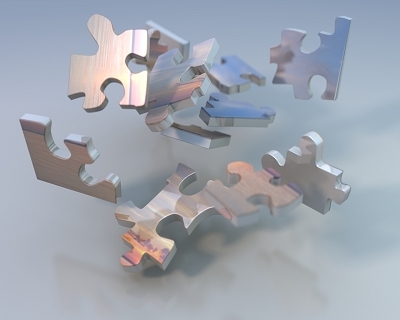 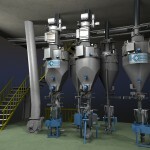 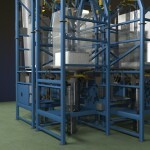 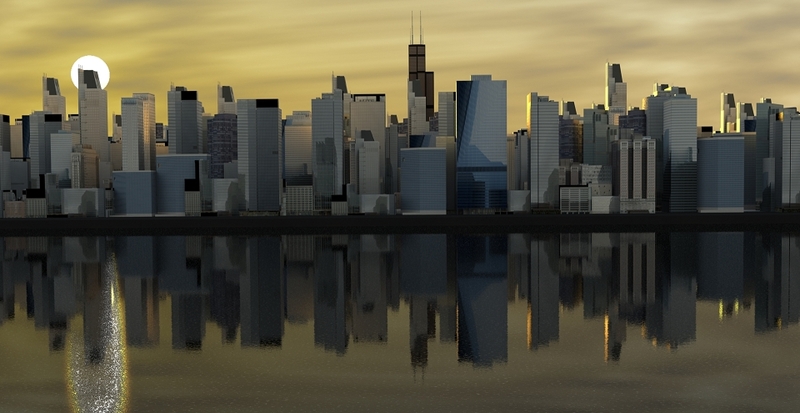 This project started with models from the client supplied from solidworks and they were then imported into modo. 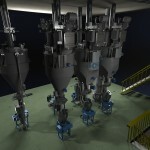 As with any model import, there is much model cleanup and conversion to do before getting to the real scene, which was also the case for these models. 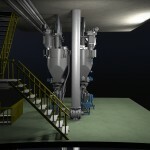 The models were then put back together in place, a scene created for them with some basic materials and previews. 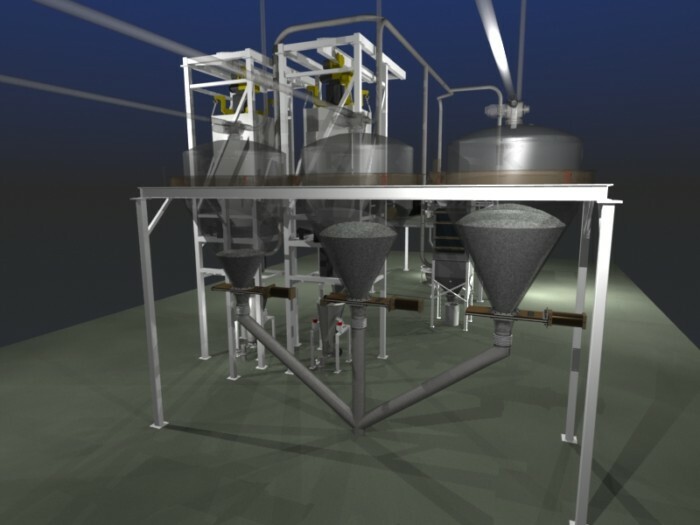 As with any project we do, we had much to review with our client and involved them in the overall look and materials needed. 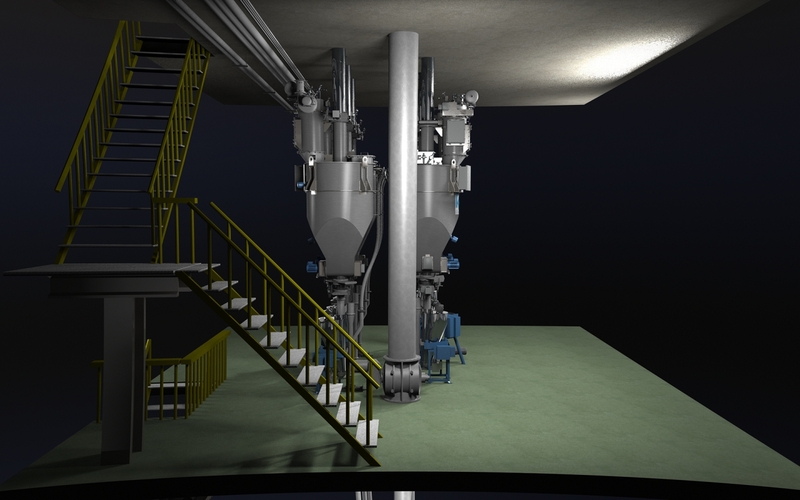 We were then able to get underway with the animation and produce the needed camera shots to highlight specific components. 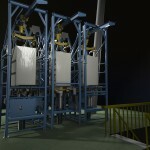 Some of the material flows and unique aspects of the material inside the vessels was important to animation as well which is where the majority of the focus was. 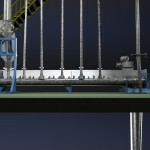 The final animation is shown here (at lower quality of course) with a number of still shot images.